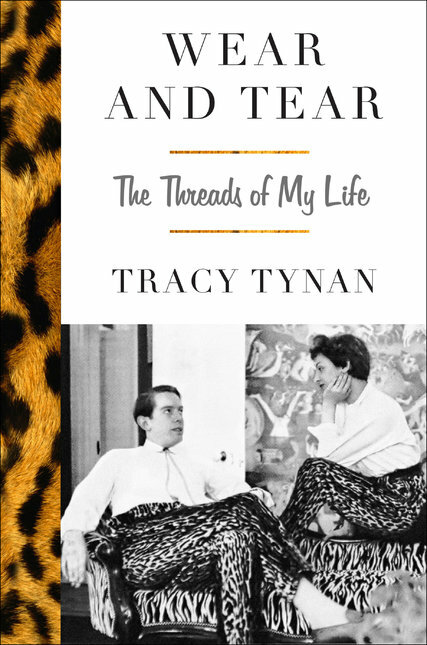 Tracy Peacock Tynan grew up in London in the 1950’s and 60s, privy to her literary parents’ glamorous parties and famous friends. In this memoir she tells the story of the time through clothes. If the Joan Crawford takedown Mommie Dearest is the template for the awful-mother showbiz memoir, Wear and Tear goes one better, or worse: this is Mommie and Daddy Dearest ... Trapped inside this parental 'horror movie,' Tracy decided she must be the normal one, given 'there was no other role available.' She became essentially an extra in a household regularly thronged with film stars and celebrities ... Though we already know of Tynan’s love of 'high-definition' performers – his magazine profiles remain models of the genre – this book exposes a celebrity obsession that can only diminish him as a man ... To have survived her upbringing may be Tracy Tynan’s great achievement – greater certainly than Wear and Tear, which for all its honesty and courage stretches very thin in its second half. ...[a] captivating memoir ... Ms. Tynan has written a moving, candid and often hilarious account of her tumultuous childhood in England and New York in the 1950s and ’60s ... Clothes are the warp and weave of “Wear and Tear.” Each chapter is cleverly organized around an item of dress. ...she does not end her memoir with the neat seam of her own fulfillment. Instead, she shows how time and chance stitched together and remade the family her parents left in tatters ... As you read, you marvel at the author’s resilience; the girl with the apple-green shoes acceded to a bigger role than she had ever expected, and found that she knew how to dress the part. What did you think of Wear and Tear: The Threads of My Life?